Teenage Bottlerocket is one of the best punk rock bands that audiences have never heard. For almost fifteen years, this Laramie, Wyoming-based band has been making its own brand of punk rock and building its audience base. All the while, it has remained just under the mainstream radar. This is actually a good thing. That is because it has kept the band from becoming just another cookie cutter pop punk rock band a la Sum 41, Blink 182, Newfound Glory, etc. Remaining just under that mainstream radar has allowed the band to continue crafting its own brand of music more akin to its counterparts in The Lillingtons, Bowling For Soup, and others of that ilk, all the while building its legions of fans around the world. The band’s latest album Tales From Wisconsin is proof of that. It is a fourteen track, thirty-five minute record that is just as certain to have listeners singing along happily just as much as any of the band’s previous releases. 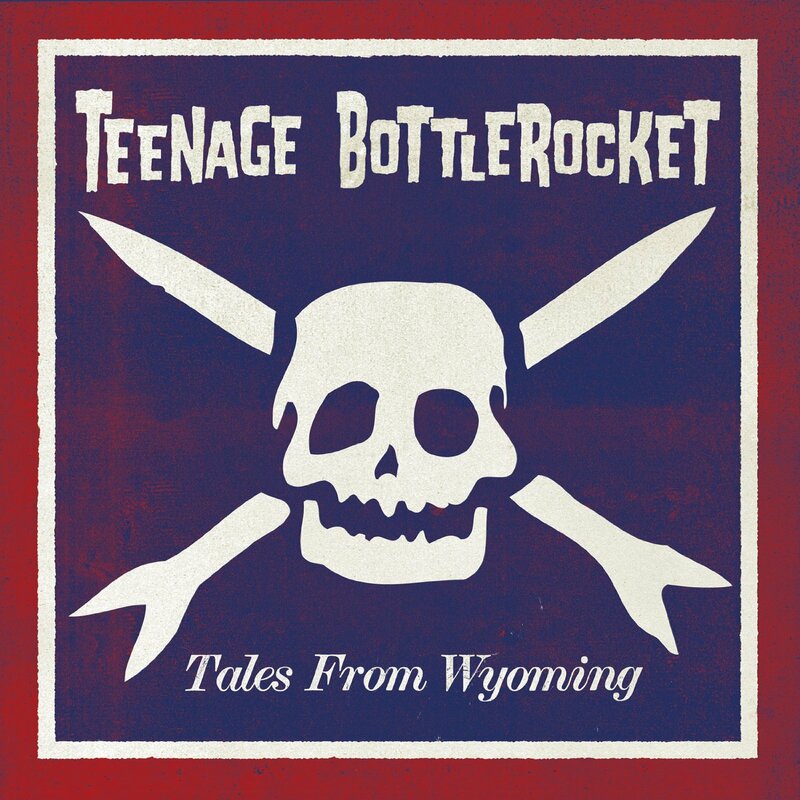 This has already been proven thanks to the album’s lead single, the light-hearted ‘Nothing Else Matters (When I’m With You),’ and its follow-up ‘They Call Me Steve.’ Both songs clearly show that nearly fifteen years after it first formed and roughly thirteen years after the release of its debut album Another Way, Teenage Bottlerocket has not lost a single step. The album’s gentle, acoustic closer ‘First Time’ shows this just as much. What’s more, it shows a certain growth from the members of Teenage Bottlerocket. 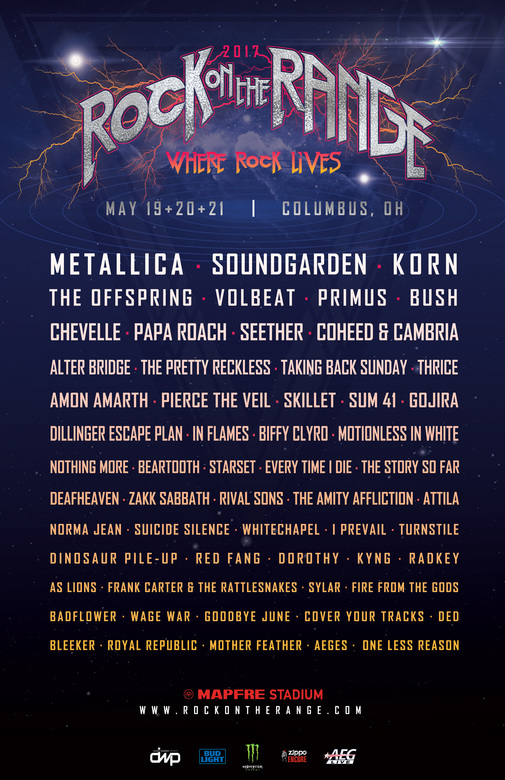 Sure, the comparison to Dropkick Murphys and Green Day are inescapable here. But considering TBR’s body of work up to this point, it shows a turning point for the band and just as with the album’s first two singles shows yet again why this album is one more success from what is one of the punk realm’s best kept secrets. TBR’s new album Tales From Wisconsin comes some thirteen years after the release of its debut record Another Way. One would think that considering how long TBR has been making music together, it would have broken through into the mainstream a long time ago when MTV and VH1 were still airing music videos and when they, along with the nation’s mainstream radio stations, were thirsting for the next big name in punk rock. Interestingly enough that never happened. Yet considering what those outlets did to the reputation of punk rock, maybe it’s a good thing that TBR never did break through. It allowed TBR to continue making its own music rather than give in to some A&R rep and other label exec along the way. Because it has manage to avoid those trappings, the band has manage to craft an album in Tales From Wisconsin–its sixth full-length studio effort–that is just as enjoyable as any of its previous recordings. That is evident early on in the record courtesy of its lead single ‘Nothing Else Matters (When I’m With You).’ This fully tongue-in-cheek song pays homage to veteran hard rock/metal act Metallica all while presenting a story of a man who has met a woman who is just as much a fan of the band as him. The song’s standard, melodic punk sound will itself have audiences on their feet, dancing in time as Brandon Carlisle keeps time alongside brother Ray Carlisle and fellow guitarist Kody Templeman. The song’s lyrical side is just as apt to put a smile on audiences faces as Templeman makes reference after reference to Metallica’s body of work throughout the song, singing, “That guy was such a d*******/When we were sticking up for Jason Newstead/That’s when you said you loved …And Justice For All/I didn’t make up with the creeps that night/they were looking for a fight/I was totally right on/The frayed ends of sanity/The shortest straw has been pulled for me/I’ll probably fade to black someday/Unless you hit the lights and escape with me.” The references to Metallica’s extensive catalogue don’t stop here. There is also a reference to ‘The Unforgiven’ and ‘Nothing Else Matters.’ The song’s very title is itself a reference to ‘Nothing Else Matters.’ Such playful use of references coupled with the standard theme of a love found make this one of the most original compositions of its kind to be churned out by a musical act in any genre. Such originality makes clear why this song was chosen as the lead single for TFW. It also makes clear by itself what makes TFW one more wonderful release from one of the rock world’s best kept secrets. Audiences can check out the song’s lyric video online now via YouTube at https://www.youtube.com/watch?v=YdRrN4xQ8zk. ‘Nothing Else Matters (When I’m With You) is one of the most original compositions about a relationship that has ever been crafted by any act in any of the music world’s many genres. The playful references to Metallica’s biggest hits as the basis for the song’s story coupled with the song’s catchy hooks and chorus makes it obvious why the song was chosen as TFW’s lead single. It also stands as just one clear example of why TBR remains today one of the best kept secrets in both the world of punk and rock in general. The song’s follow-up ‘They Call Me Steve’ shows just as clearly how much TBR has to offer on its latest release. The song’s musical side boasts even more infectious hooks and choruses throughout its two-minute, twenty-one second run time. Looking at the song from a lyrical standpoint, it is just as intriguing as Templeman sings, “I knocked down a tree with my bare hands/And I’ve been to all four corners of this land/I killed a giant spider with an iron sword/And I ran ten miles being chased by a zombie horde/They call me Steve/I’ll do anything you want me to/They call me Steve/I’ll dig a hole to Hell and back for you.” If not for the song’s companion video, which can be viewed online now, the song alone would definitely have had audiences talking. The song’s companion video is a Minecraft themed creation that perfectly complements the song’s lyrical content. It’s a love story in a video game world. The video can be viewed online via YouTube at https://www.youtube.com/watch?v=IqLAkjRyiJU. In viewing the video, audiences will agree that it perfectly illustrates the story presented in the song and in turn makes the song even more enjoyable than it is on its own musical merits. The combination of the song’s musical and lyrical sides, and its companion video makes clear once again why TBR remains one of the best names in the punk realm and one of rock’s best kept secrets. Alongside ‘Nothing Else Matters (Without You),’ it shows even more clearly whyTFW is such an enjoyable record. ‘Nothing Else Matters (Without You)’ and ‘They Call Me Steve’ are both clear examples of what makes TFW such an enjoyable record both for fans that are new to the band’s material and to those that are more familiar with the band’s body of work. As much enjoyment as those songs offer audiences, there is one more song on this record that stands out even more than them as one of the album’s highest of points. That song is the album’s string-laden acoustic closer ‘First Time.’ Both musically and lyrically it presents the band’s much more rarely exhibited softer side. The comparison to Green Day and Dropkick Murphys among others is inescapable here because of that combination of music and lyrics. But being one of those truly rare times that the band has gotten to display its softer side, it makes this moment something special. It shows the band a little more willing to grow and show a more mature side from the band in comparison to what audiences have become accustomed to hearing. There is almost a certain desperation in Templeman’s voice as he sings I’m falling apart with a broken heart for the first time/I’m starting to doubt what this feeling’s about/For the first time/I stare at the wall/I’m beginning to fall…For the first time/spinning out of control/With nowhere left to go.” It’s not the standard oh, woe is me sort of delivery musically or lyrically that audiences have become all too familiar with from so many punk and emo bands. It has its own identity. Because of that, it proves yet again what makes TFW just as enjoyable as TBR’s previous records and why this veteran punk rock band remains today one of the best kept secrets of the rock world in whole. Together with ‘Nothing Else Matters (When I’m With You)’ and ‘They Call Me Steve,’ all three songs together exhibit why this record is just as enjoyable for first time listeners and for those that are more familiar with the band’s body of work. That is not to discount the other dozen tracks that make up this record, either. Each of those tracks not noted here makes its own argument in favor of TFW, too. The whole of those tracks and those more fully noted here show clearly why every punk rock fan should hear this record regardless of their familiarity with TBR.